Some Syrian foods, such as hummus, have become ubiquitous in food offerings in the U.S. Others, such as Riz B Haleeb, are a variation of well-known dishes like rice pudding, with Syrian infused flavors, such as rose water and pistachio. 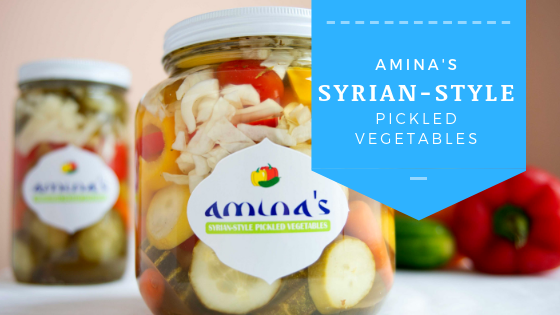 One of the best known Syrian foods however is pickled vegetables. Not just cucumbers, but cauliflower, carrots, peppers, green beans, garlic, onions, you name it and Amina will pickle it!